Epilobium leptophyllum.© Copyright Sheryl Pollock 2011.www.discoverlife.org. (Accessed 11/2014). Epilobium leptophyllum is a perennial herb, 20-100 cm tall, from slender stolons, stems arising from bulb-like swelling at tip of stolon. Leaves opposite, the uppermost sometimes alternate, stalkless, often with small leafy clusters in axils; blade 2-7 cm long, 0.1-0.7 cm wide, hairy. 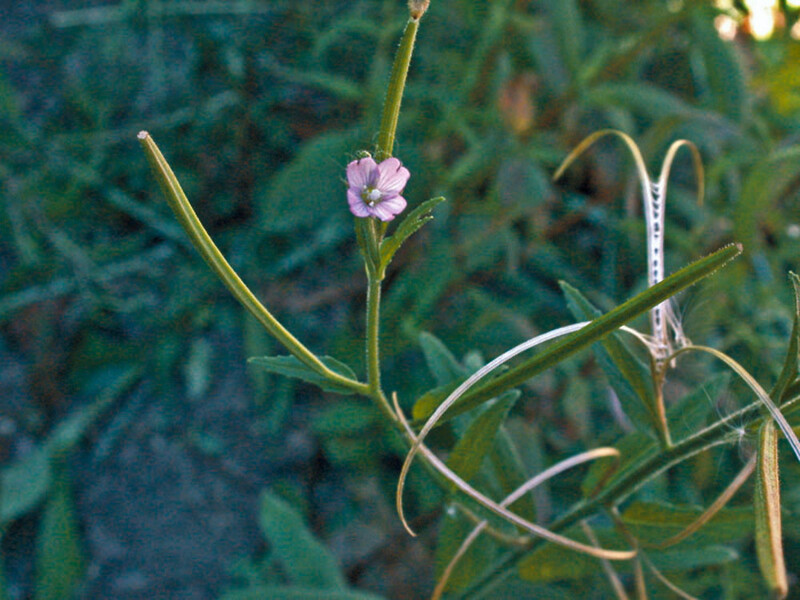 Epilobium parviflorum fruit and flower. By Andrew Nelson. Copyright © 2018 Andrew Nelson. New York Flora Atlas – newyork.plantatlas.usf.edu (Accessed 5/2018). Flowers white to pink, 0.4-0.6 cm long, 4-parted, petal tip notched; flowering stems branched, hairy. Fruit dry, linear, splitting open to release numerous plumed seeds. 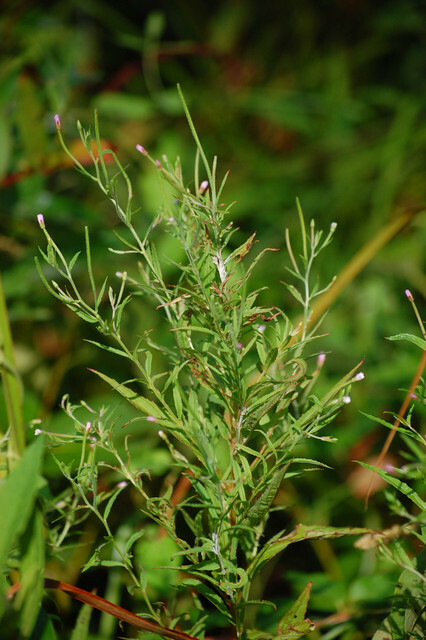 Habitat: Open marshes, bogs, soil pH 4-6.5 (USDA, NRCS 2006).